Soul of WoMen was born out of the Fuji Declaration, when Masami Saionji invited female visionary leaders in Japan to discuss the wisdom, roles and responsibilities of women in creating a more harmonious world. The Soul of WoMen initiative was launched at the first anniversary of the Fuji Declaration, May 2016, in Japan. Human behaviours, or values, may be associated with masculinity (aggression, competition and power) or femininity (love, compassion, empathy, nurturing, intuition, cooperation and peacemaking). These values are present in all people, regardless of gender. However, in today’s world, ‘masculine’ values dominate and ‘feminine’ values are suppressed. The Soul of WoMen initiative brings people together, all over the world, to explore ways of making a better future through balancing the masculine and feminine within every individual, of all genders, and all societies. Emphasising collaboration, insight, nurturing and compassion, it works towards a transformation of global consciousness. We must free ourselves of prejudice and stereotypes regarding gender, culture, race, religion, political differences, physical and mental ability, social status and so on. We must rid ourselves of self-limiting beliefs to reclaim our true identity. The Allanton World Peace Sanctuary hosts the European Soul of WoMen conferences and events. “What values and attitudes are needed to change society? What structures could be changed in business, work and education to make opportunities better for women?” How can we balance the masculine and feminine in families, relationships, education, healthcare, politics and spirituality? “Is gender becoming irrelevant?” Experiences were shared around gender equality, gender fluidity and perceptions of masculine and feminine identity. How does our own inner balance and peace bring about greater balance in the world for all living beings, both masculine and feminine? Thank you to our guest speakers: Dr Jude Currivan, John Nicholls, Asma Khalifa, Mhairi Black MP and Sesto and Gabriele Giovanni Castagnoli. Also, thank you, to Russell McLarty, Maria Cleary and Lyn Ma for hosting the group dialogues. 2018’s theme looked at balance as it relates to the self, community and the wider world. 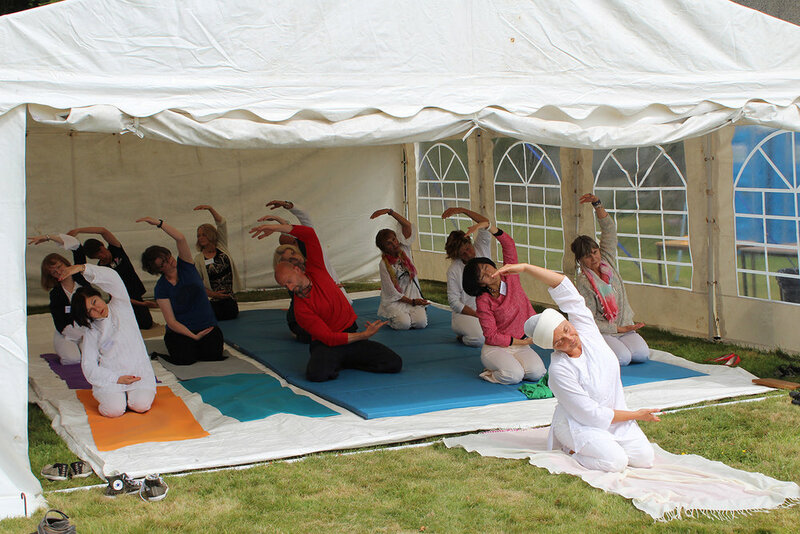 Speakers and workshops provided the participants with ideas, inspiration and skills for their continuing personal development, and/or bringing balance to their community and the wider world. Art-full Visioning (seeing clearer images in our minds of our ideal life and dreams), Balancing yin/yang, Being a Clown (exploring the nature of the self), Finding balance through a 'three-fold' approach to Social Enterprise and Community Building, Gratitude to the Moon (yoga sequence), Mandala writing, Mindfulness, Nadi Sodhana (yoga breathing technique), and Self Talk (using language for positive change). Aikido, Embrace Global Interactive (the simple human need and ability to be held and to hold one another), “How do we heal the land?”, Language for Change, Listening, trusting and learning to love ourselves (skills to bring balance into the lives of women who have been hurt), Loving Kindness (meditation developing compassion for ourselves and others), Mandala writing, Peaceful Activisms, Pilgrimage of Inner Calling (using the inspiring principles of mythical feminine figures in our own lives), and Story of Self (inspiring others and creating change through our stories). Thank you to our guest speakers: Rika Saionji Yoshikawa, Alastair McIntosh and Leslie Howells. 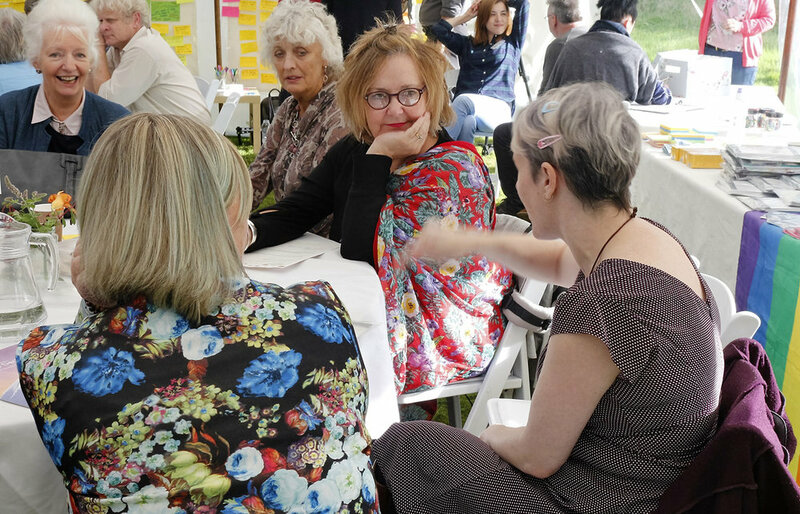 Another big thank you to all our workshop leaders: Alastair McIntosh, Andrea Solana, Angelika Schützinger, Barry Graham, Bibi Guru Inder, Clare Jones, Jackie Le Brocq, Jan Hogarth, Jenny Funston, Kai Neptune, Kerry Riddell, Laurie Blair, Moira Harris, Pat Kirby, Rachel Elion Baird and Shirley Prahms. Thank you to all of our funders and to those who supported our Soul of WoMen events.